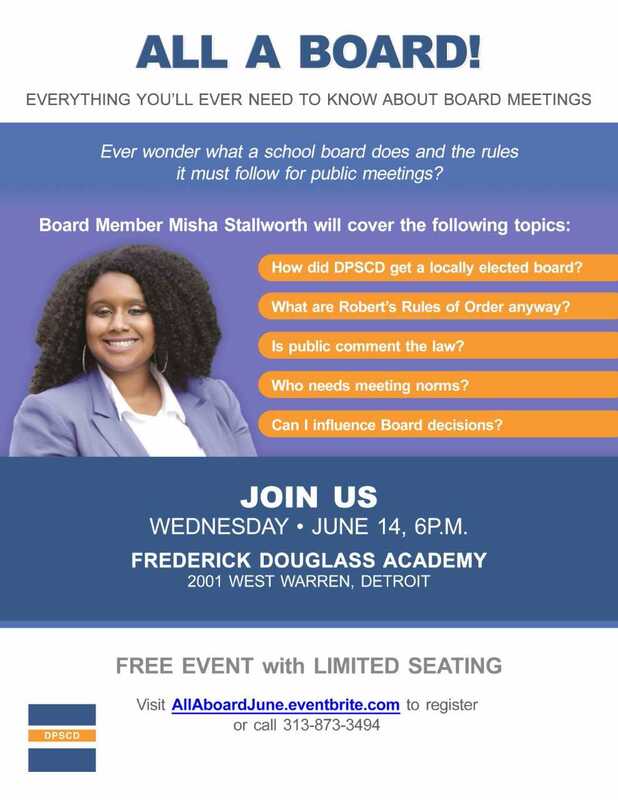 Ever wonder what a school board does and the rules it must follow for public meetings? 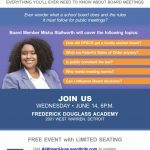 Join Board of Education Member Misha Stallworth on Wednesday, June 14 at 6 p.m. at Frederick Douglass Academy to learn everything you’ll need to know about board meetings. How did DPSCD get a locally elected board? What are Roberts Rules of Order anyway? Is public comment the law? Can I influence Board decisions? This is a FREE EVENT with limited seating. Visit allaboardjune.eventbrite.com to reserve your spot today!